Cinnamon is proven to lower levels of blood sugar and manage weight. It is the best belly-fighting antioxidant (Phenol). It is known to improve cholesterol levels, and improve insulin activity. 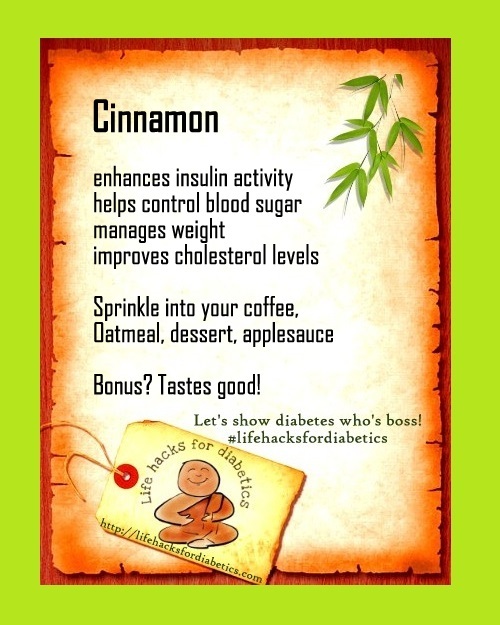 Add a cinnamon stick to your coffee or sprinkle some cinnamon powder on your oatmeal and your dessert. Applesauce with cinnamon makes a great snack, too! Bonus? Tastes good. Cinnamon is lovely stuff for so many reasons!